Today i am cooking Jamie Oliver Hit 'n' Run traybaked chicken. This is a very simple, healthy dinner for all the family. Everything gets cooked together in the oven and all it takes is a little over 1 hour. 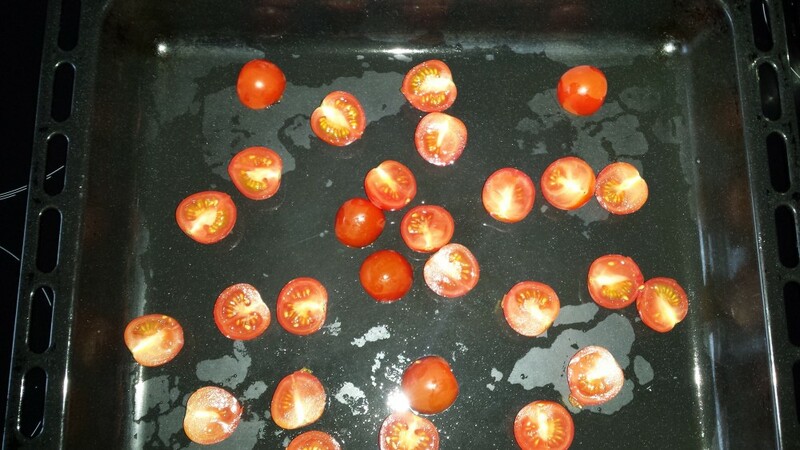 Start by halving the tomatoes and throw them into the tray. Followed by the onions, peeled and quartered. De-seed the peppers, roughly chopped, then add them to the tray. Leave the garlic cloves in their skins, but just squash the cloves with the back of the knife and then throw them in. Add the chicken thighs, then add the rest of the ingredients and mix it all together by hand. 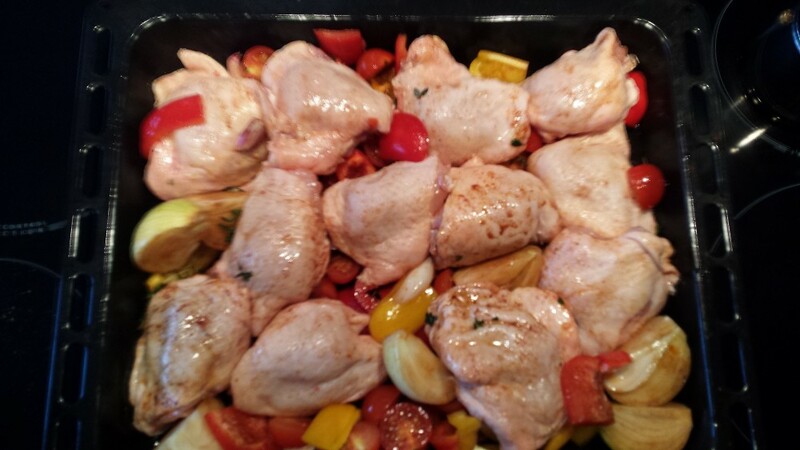 Ensure the chicken lies on top of the vegetables. Wash your hands well, then put the tray into the oven for 1 hour or unti the chicken is golden and cooked through. Turn and baste the chicken a couple of times with the juices. Serve with cous cous, basmati rice or a salad and a crusty loaf. Squash that nice soft garlic onto your chicken or onto your crusty bread.